Ever since I created our support group in Facebook, members keep asking which high protein bread for the Scarsdale diet to use. 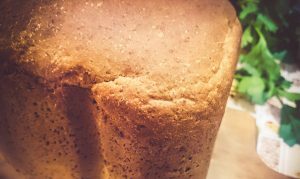 Protein Bread for the Scarsdale diet – which one and where to buy? It was hard to recommend a particular protein bread, because there are so many different local bread types all over the world. Just read the labels and if the proteins are 20% then the bread is good, if the proteins are 40% – the bread is perfect. Also wait for other members in your area to give protein bread suggestions – that was my advice back then when we started the Scarsdale diet group. Now, 6 months later, when I decided to start the Scarsdale diet myself, I found making my own high protein bread to be the best option I have. To find the perfect high protein flour for the Scarsdale bread was easy. I’ve been using a type of whole grain wild wheat flour (Einkorn wheat) to make home bread for years now. It’s very high in proteins (15 g proteins per 100 g of flour), also is GMO free and unprocessed – perfect for my kids and family. Unfortunately Einkorn wheat does not grow in US. To the best of my knowledge it originates from the Middle East spreading out to the regions of Anadolia and Balkan Peninsula (Eastern Europe). However, I found that the spelt flour has as higher percentage of proteins as the limec flour. Now you know why spelt flour is getting more and more popular everyday. I hope you can easily find it in health food stores. More about the Scarsdale diet plan and menu.